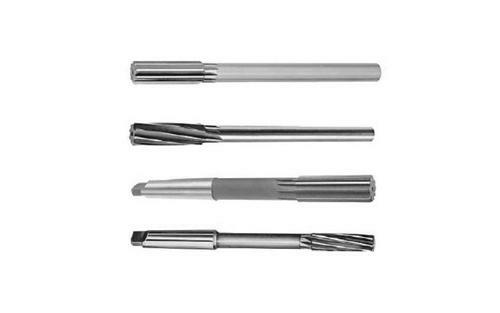 Reamers come in such categories as Hand, Shell, Hand Pin, Machine and Chucking reamers. They are common tools in metal work and are used for enlarging holes. The expected dimensions of the hole and the surface being drilled determine the type of reamer to use. Each reamer has a different thickness and type of cutting the tip. There are hand reamers as well that are useful in different sectors. Each machine requires a different type and size of reamer. The depth of the hole or surface being also drilled determines the length of the reamer to choose. The lathe machine is one of the common areas where Maxwell reamers are used. They are useful in threading, growing as well as turning. The effectiveness in different industries has raised the profile of Maxwell and placed the brand among the most sort-after manufacturers. The current profiles are as a result of several decades of hard work by designers to develop customized profiles for each industry. The creativity and innovativeness of the engineers have increased market share and enabled penetration into non-traditional markets. The brand now supplies the tools to all corners of the world. The use of high speed steel as a raw material is considered a major strength for Maxwell Tools. This material is hard and highly resistant to abrasion. It also produces tools that can withstand extreme heat and friction without damage or reduction in the quality of work. Engineers at the factory have identified the best coating technologies to enhance the quality of cutting surfaces. The coat applied on the surface or cutting tip increases its lifespan several folds. It also makes it ready to cut harder materials. Prioritization of customer experience. This includes convenient shopping platform with images and a detailed description of every tool, secure checkout system and fast resolution of complains and concerns by clients. An automated profiling process allows the engineers to develop customs designs for the client. The models are simulated on the computer to give an idea of the expected outcome. This is important before any piece is produced in large numbers. A consultative process during design ensures that the resulting tool meets the highest standards in terms of quality and customer expectations. Maxwell technicians will also offer useful tips on how to maximize the efficiency of your tools and ensure that they last long. They are ready to address any question regarding specific work environments. The technicians offer repair services in case your cutter fails or breaks down. They will advise you on the alternatives available to minimize delays and ensure that you have the right tool for the job. Maxwell tools guarantee excellent value for money.